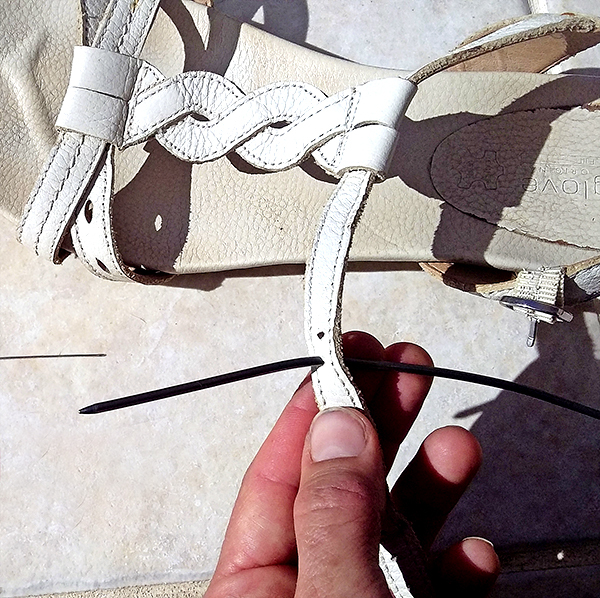 I needed to tighten my sandals, but I’d run out of holes. I marked on the strap where I needed an extra hole, then pierced it with a needle. I then widened the hole with a skewer. Now, I can easily make extra holes wherever I need them.